We will have a very special silent auction from Cancer Gets Lost at Unity Days! How cool is this? 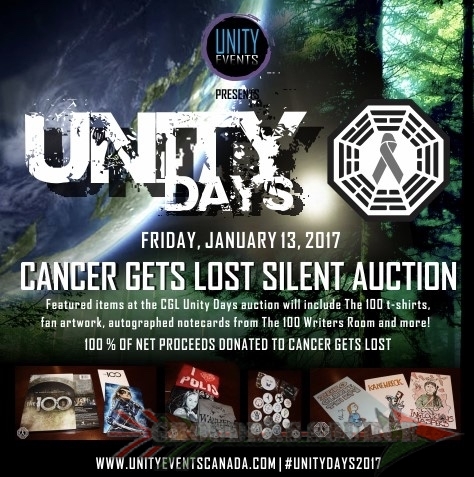 Cancer Gets Lost and Unity Events Canada have partnered up to bring greater good to the world with the help of fandoms and stars. With the Cancer Gets Lost Benefit Concert, with Christopher Larkin, there will be a silent auction to bid on The 100 memorabilia signed by the cast and writers. Here is the 411 on the auction, along with information on the upcoming Unity Days, and Cancer Gets Lost. 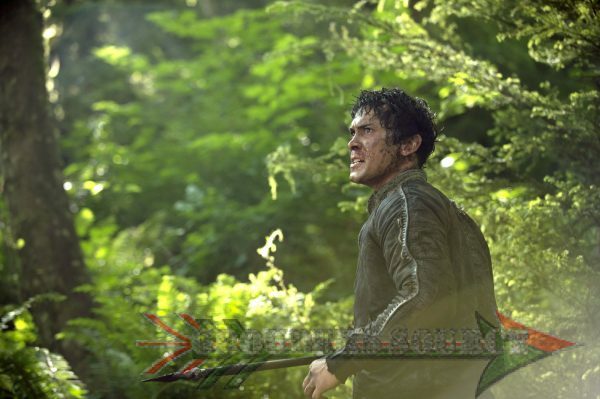 autographed notecards from The 100 Writers Room and more! tax exempt status thanks to fiscal sponsorship by FJC: A Foundation of Philanthropic Funds. For more information about Cancer Gets LOST, please visit www.cancergetslost.org . Events and Unity Days, please visit www.unityeventscanada.com. There is sure to be some awesome stuff to win, but most importantly, you will be helping out a great charity!